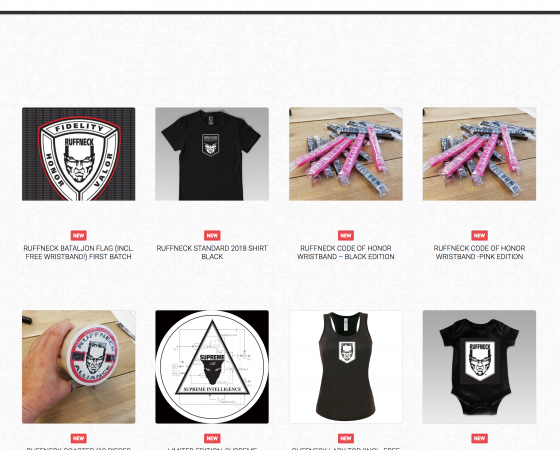 Home / News Category / New merchandise avaialble ….NOW! What about some new goodies than eh? It’s been to long i know. However since i moved my entire merchandise catalog to a new company who handles my stuff now, we needed some time to create new quality material. So with full pride I present to you 8 (that’s right, EIGHT! ) new items. My personal favourite, which i briefly showed as a teaser at the end of my set at the lowlands festival is undoubtedly the new Ruffneck – Code of honor flag, which is of a VERY different quality as the previous flag! Thicker, and simply much better!